Hollander Café in downtown Wauwatosa. Join the Milwaukee French Immersion Foundation for their Annual Silent Auction! 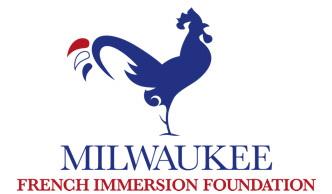 The mission of the Milwaukee French Immersion Foundation, Inc. (MFIF) is to support French language immersion programs in Milwaukee public schools by supporting a challenging and enriching educational experience that maximizes the learning potential of every student and prepares them to excel in the competitive global economy. The MFIF provides crucial support to MFIS and MSL. They are the source for the needed funds to bring native French-speakers to work with our students through the AMITY Program. Please consider offering them your support. Visit the MFIF website here for more information about this event, to order event tickets, to learn to get involved in the foundation, or to make a direct donation online. Download the flyer for ticket sales via check here.